Sherwood Inspection Services is the #1 choice for home inspections in the State of Connecticut. With over 35 years of experience, we have built our reputation on the exceptional quality of our work and phenomenal customer service. We are the preferred home inspection company by home buyers and real estate professionals in Connecticut. More than 130,000 clients have trusted us with their inspection needs, and we’ve helped each one make an informed, and timely decision with confidence! Our home inspectors are the most knowledgeable in the industry. 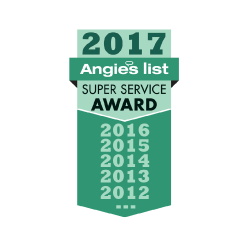 Each inspector is licensed and certified by the American Society of Home Inspectors (ASHI) and the International Association of Certified Home Inspectors (NACHI). Inspection availability 7 days a week, followed by your comprehensive digital inspection report, and free homeowner's guide. 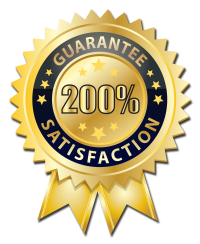 Our inspections are so thorough - they're 200% GUARANTEED. Our inspectors are required to commit to weekly inspection education training, to ensure you can make a well informed decision regarding your purchase. Buying a home is one of the most important purchases you will ever make. While exciting, there can also be challenges. We are committed to making this part of the home buying process stress-free for you. Sherwood Inspection Services will help you understand everything you need to know about your prospective property. We've developed a wide range of home and commercial inspection services to ensure you have the information needed to make a prompt, informed decision. What Comes Complimentary With Every Home Inspection? "I had a wonderful experience starting from scheduling the appointment to the inspection. Everyone was courteous and helpful. Marc was patient and explained everything in layman's terms. I cannot thank Sherwood Inspections enough in providing a stress-free service and experience. Highly recommend!" "The team was extremely informative and did a very thorough job of checking every corner of the real estate. They were professional and a true pleasure to work with. I feel more confident about my decision to invest my future in the property. Excellent job. 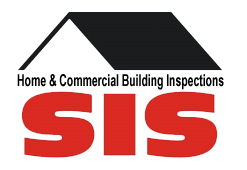 I recommend SIS to everyone." "Marc with SIS exceeded my expectations. As a first time home buyer I was new to the home inspection process. Marc is extremely professional and took the time to thoroughly explain everything. The inspection was structured and detailed, he left "no stone unturned. 10/10 would use again!" Whether you’re looking to buy a brand new home in Bridgeport, or dream of buying a historic home in Hartford CT, we will guide you through the entire process. Our highly skilled team will give you all the timely information you'll need to make a confident buying decision. You can learn more about our property inspections by giving us a call, we'll be happy to discuss your inspection needs. If you already know what services you need, then get your inspection scheduled today!